Are you a teacher looking for support to get your school going Fairtrade? Want to find an innovative way to empower your students to become active global citizens? 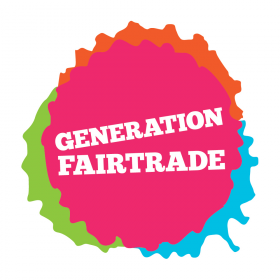 For a limited time only, People & Planet and the Fairtrade Foundation are offering Mentors to come to your school or college from January 2013 to work with a group of students on Fairtrade, as part of a unique new mentoring programme, Generation Fairtrade. Hurry – the deadline to apply for FREE support for your school is Friday 21 December. The programme of support offered to your school will run from January – April 2012 and includes presentations and workshops with students, support to put on events, and guidance on working towards the Fairtrade Schools Award. The mentor will provide tailored support to help your students be active during Fairtrade Fortnight in February/March 2013. All of our School Mentor volunteers have background knowledge and experience of campaigning on Fairtrade and global issues, current CRB checks and have undergone a formal application process and training. This entry was posted on Sunday, December 9th, 2012 at 1:00 pm and is filed under Uncategorized. You can follow any responses to this entry through the RSS 2.0 feed. You can leave a response, or trackback from your own site.